Dr. Jennifer Bock-Vanaria grew up in the Chicago suburbs. 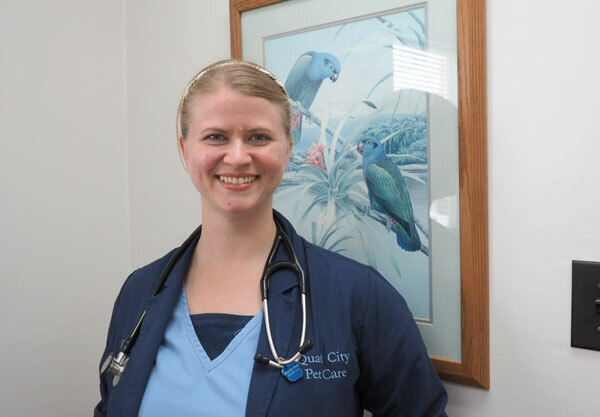 After completing her undergraduate studies at Augustana College, where she met her husband Rob, she attended the University of Illinois where she received her Doctorate of Veterinary Medicine in 2013. She began practice back in the Chicago area but they decided to return to the Quad Cities. They share their home with 4 fun loving cats named Cadillac, Haruka, Logan and Miki, a guinea pig named Harlequin, a rabbit named Lola, and an adorable old Rat Terrier, Patches. When not at work, she enjoys games with her friends and family, cuddling with her furry friends and baking.  Dr. Robert Herath was born and raised in Moline, IL. 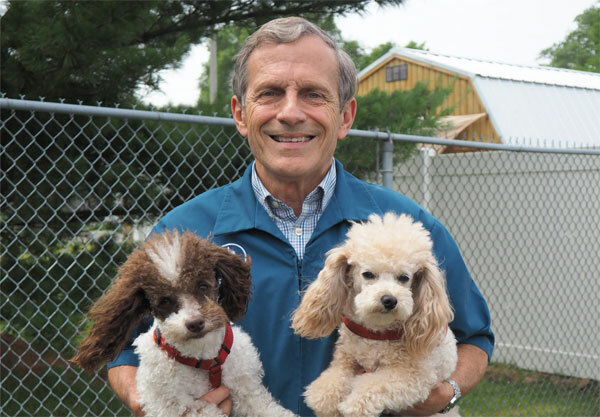 He earned his Doctor of Veterinary Medicine degree in 1973.from the University of Illinois College of Veterinary Medicine. He was certified by the International Veterinary Acupuncture Society in 1976. Together with his wife Pat, they founded the Andalusia Road Veterinary Center. 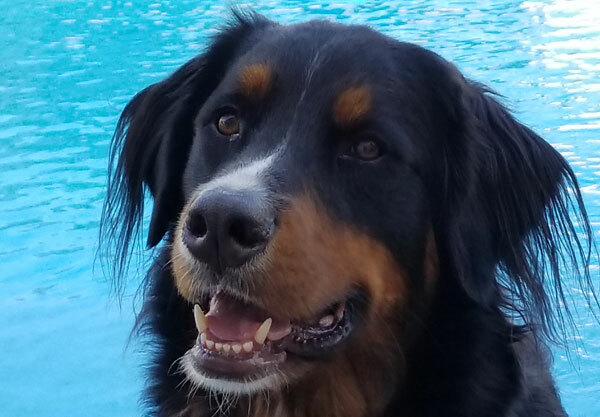 He enjoys his 2 poodles, Josie and Ollie, traveling with his wife, being active in the community and especially spending time with his 2 sons, their wives and 4 grandchildren. Dr. Chris Rall grew up in Clinton, IA. 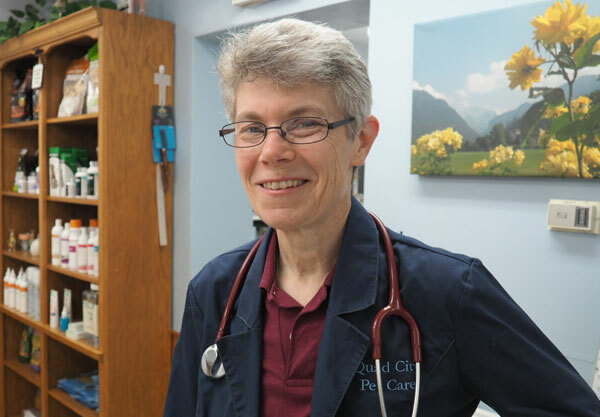 She graduated from Central College with a BA and earned her Doctorate in Veterinary Medicine from Iowa State University. She joined our clinic in 2014. She enjoys time with her family, being outdoors, playing with her numerous cats and many church activities. 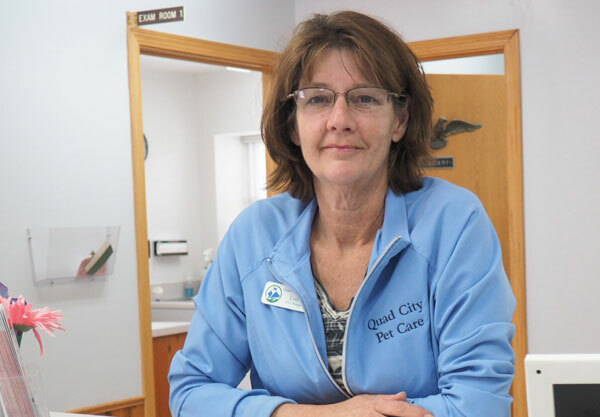 Lori has been with the clinic since 1999. While running the day to day business of the practice, she strives for complete client satisfaction and optimal patient care. She enjoys chatting with our long-time clients and the opportunity of getting to know each new client. 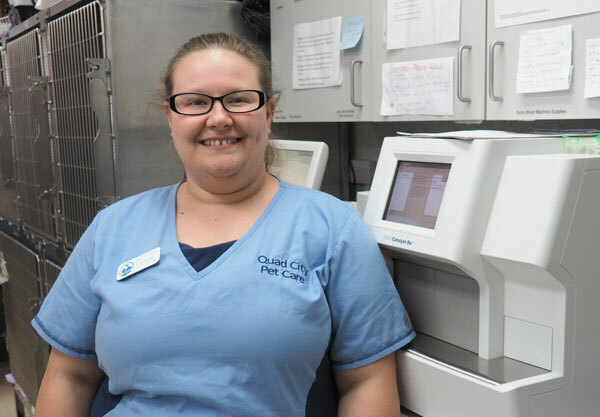 When not at the clinic, she loves to snuggle with her dog Hope and to spend time with family and friends. Diana joined our team in 2007. Whether on the phone or in person, she makes every client feel special and goes out of her way to offer complete customer service. In her spare time, she loves spending time with her grandchildren and the "zoo" of animals she has at home. Julie joined our team in 1998 through 2005 then returned in July 2011. She always strives for complete client satisfaction and never fails to keep us on our toes. In her free time, she enjoys photography, spending time with her family and Hank the dog. 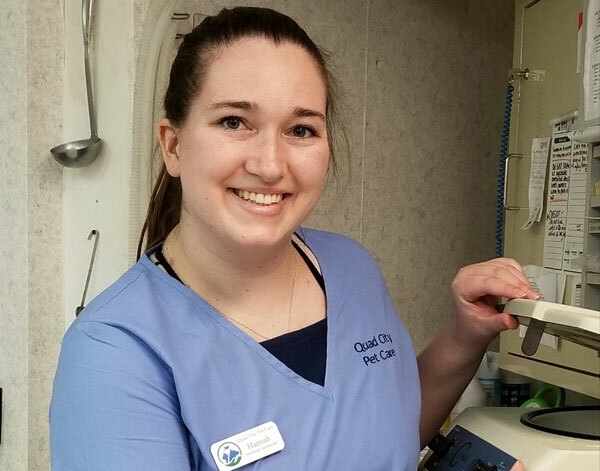 Christina joined our team in October 2016 as she was studying at Muscatine Community College to become a Certified Veterinary Technician. She has since graduated and loves what she does. When not at work, she keeps busy with her husband, 3 children, 4 cats, 2 dogs and 2 turtles. She also loves to crochet, hike, fish, camp. Jessica joined our team in May 2011 after graduating from Parkland College. Her smile is contagious and her technical skills are exceptional. When not at work, she enjoys spending time with her husband, adorable kids and 2 kitties Toby and Teddy. Hannah grew up in the Quad Cities & now lives in Andalusia. She's working towards becoming a certified technician. Her hobbies include horseback riding & reading. She has one dog named Willow & a corn snake named Jim. 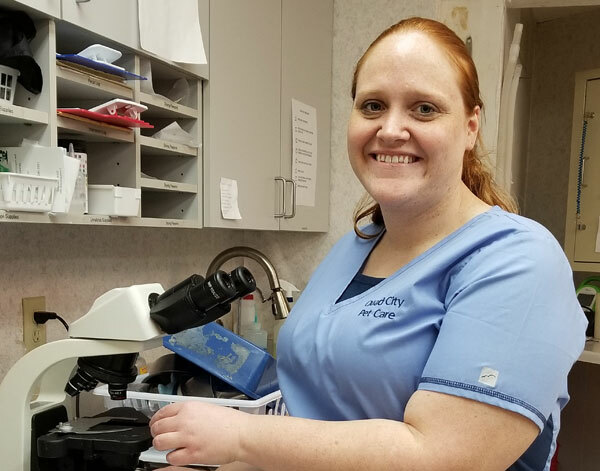 Jennifer joined our team in March of 2019. 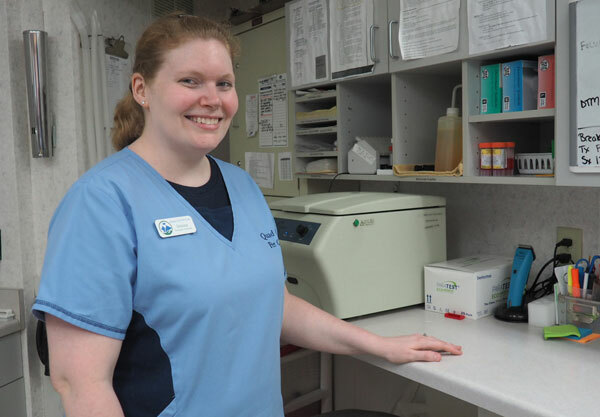 She graduated from the veterinary technology program at Parkland college in 2010. When not at work she enjoys kayaking, traveling, spending time with her family and her two dogs and two cats.